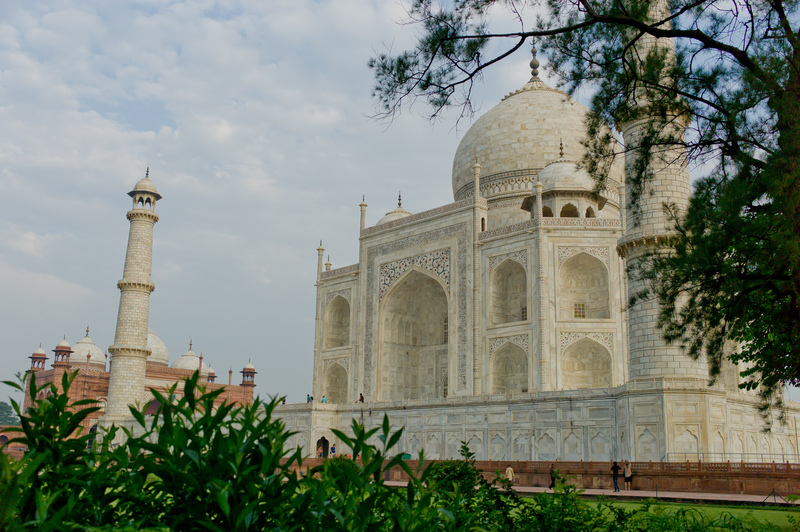 So this wasn’t my first visit to Agra and the Taj Mahal; but this time I took the trouble to plan it properly and to see the Taj Mahal as it should be seen. Most people (and that includes you and me!) 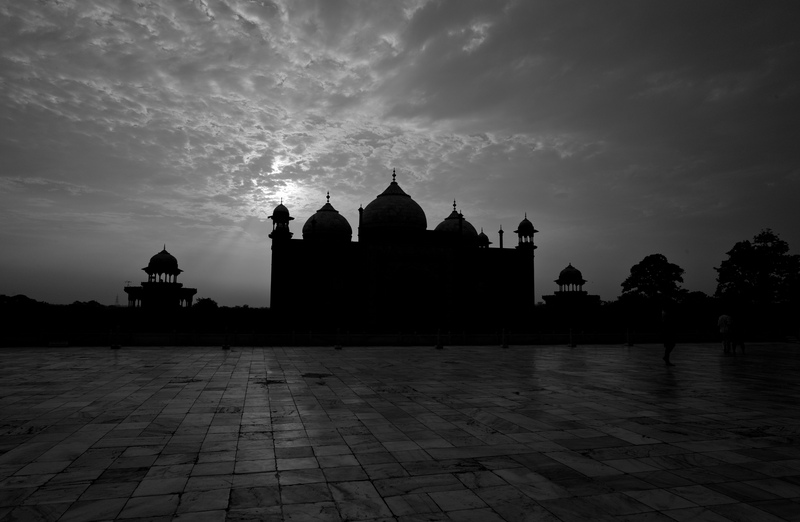 will go to Agra as part of a tour leaving Delhi to see the Taj as a day trip returning to Delhi or Jaipur after. Big mistake…you will be arriving at the Taj Mahal at exactly the same time as a million other tourists at the worst time of the day in the hot, harsh mid-day sun. 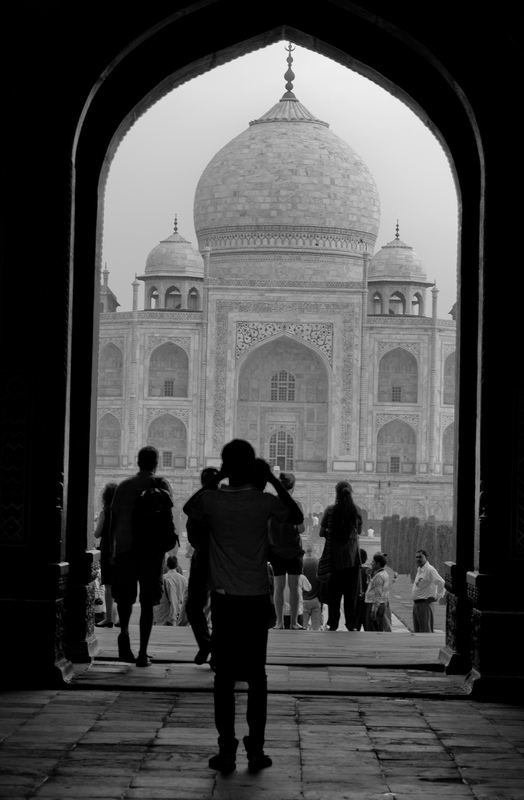 If you have no time and therefore no choice, by all means do this…seeing the Taj Mahal in less than ideal conditions is better than not seeing it at all. 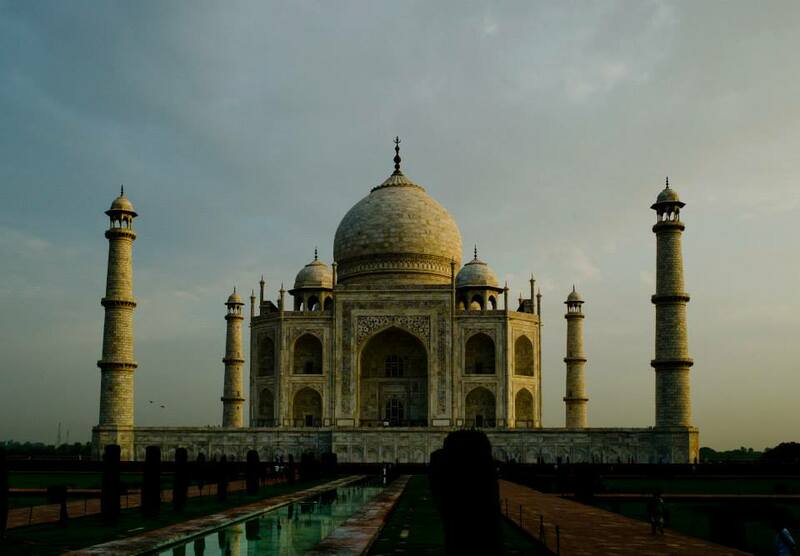 So, the first thing you do is to plan to stay in Agra for one night and see the Taj Mahal at its most alluring….in the soft dawn light where the warm glow is wonderful….and in the evening from the other side of the Yamuna river where the sun set casts an equally comforting light on this spectacular monument to love. 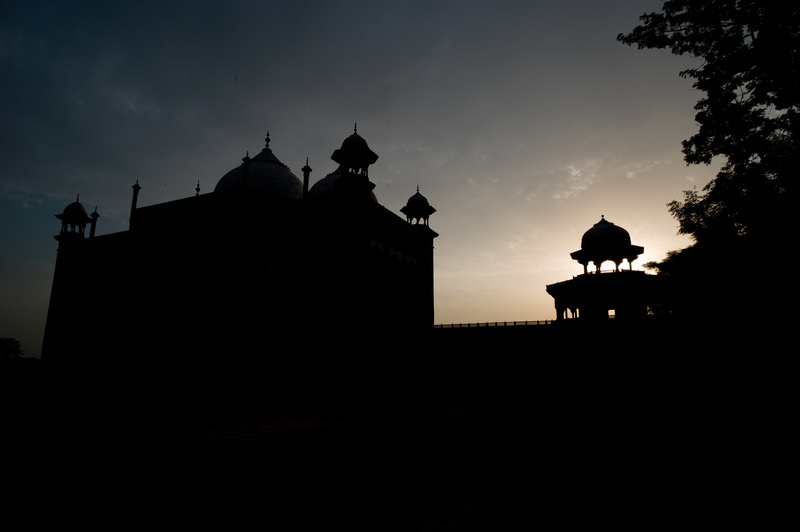 The Taj Mahal at dawn. Any number of tour agencies in Delhi will sort you out a car and driver for the trip to Agra and or Jaipur and this is one of the best things you can do. The car and driver will drive you there and bring you around to do all your sightseeing and then drive you on to Jaipur or Delhi. The Delhi to Agra route is served by a wonderful new highway that is largely underused and is a smooth 2 hour drive so you are there in no time. Now, there are many hotels in Agra but there is only one place to stay…the Oberoi Amarvilas. Do you want a place that is classy and elegant, well located and ticks all the boxes? Expensive it is, but value for money it also is. Get a good deal and you will not regret staying here. 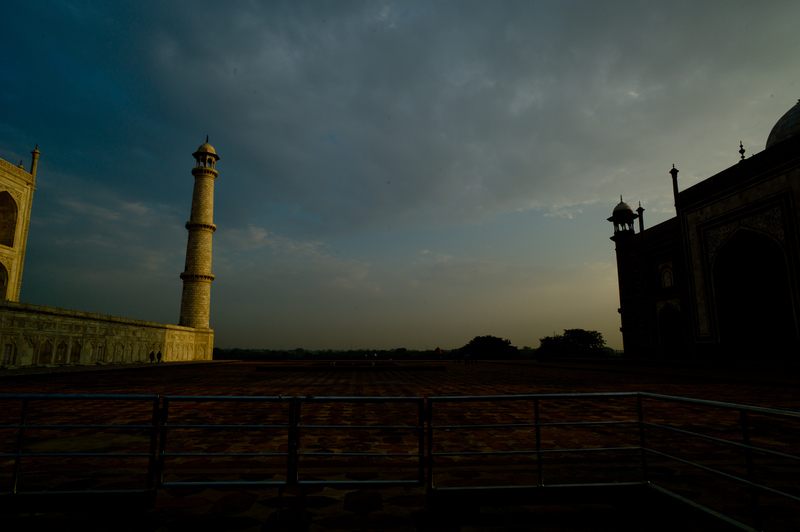 I had researched the hotels available and liked the fact that every bedroom overlooked the Taj. The Oberoi has an old world feel to it…like the Raffles Hotel in Singapore or the Sofitel Metropole in Hanoi. We were upgraded to a room with a balcony which was very nice indeed. 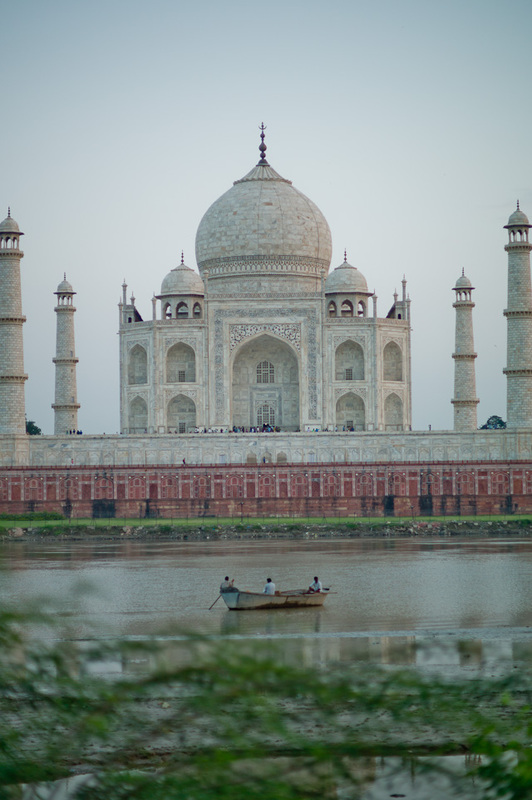 Driving to the other side of the Yamuna river, we viewed the Taj from a less frequently visited location…the moonlight garden or Mehtab Barg. It’s a nice little walk and scenic spot. 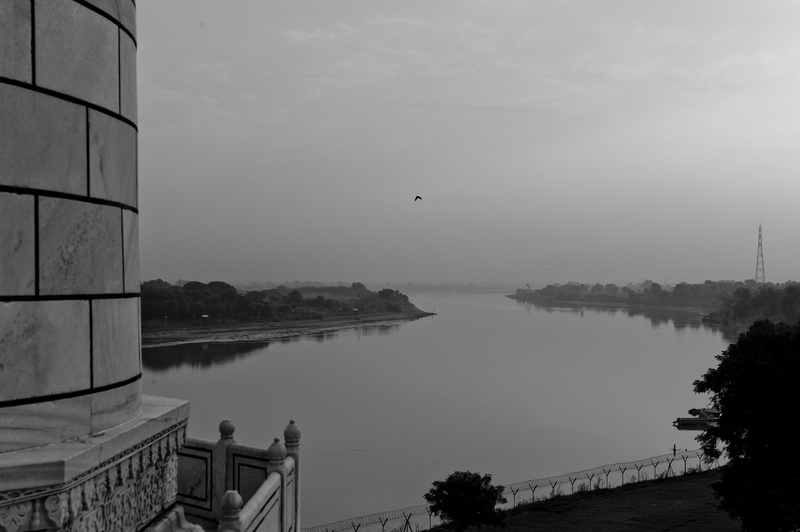 You can shoot the Taj Mahal with the Yamuna River in the foreground. The Taj from across the river. 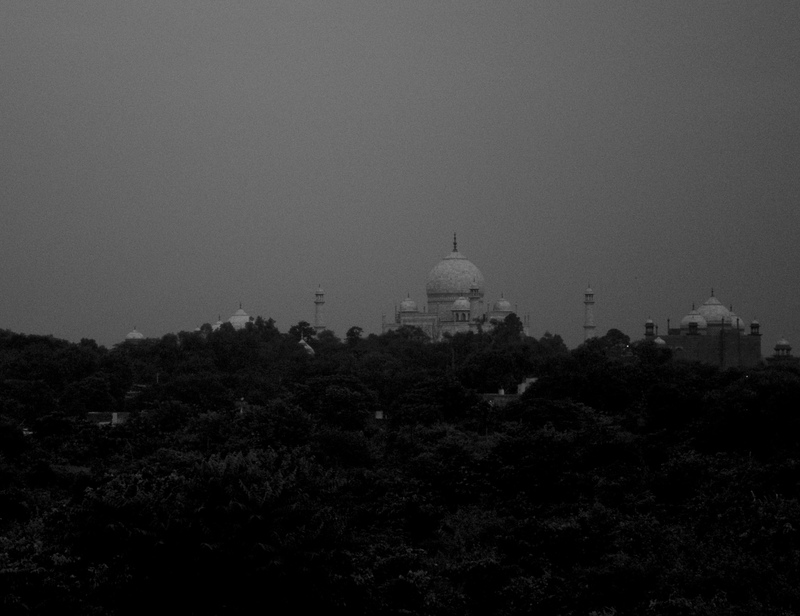 The Oberoi has views of the Taj Mahal at night but it’s still a fair way away. This was the best picture I could take from my balcony..it was past midnight and there was minimal ambient light….no moon and only a few stars and lights in the hotel grounds….still a magical monument. Wake up early the next morning; the Taj Mahal opens at 6am! Well before hordes or people arrive, when the air is fresh and the day is cool. Why would you choose to visit at other times? The Oberoi even provides a buggy to drive you to the entrance of the Taj a few hundred metres away. Beautiful birds like the Indian Hoopoe were easily seen on the walk up to the Taj. 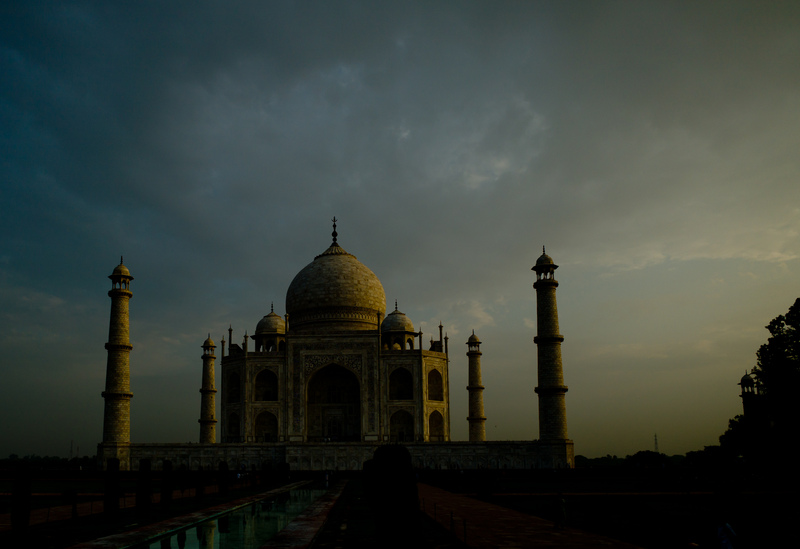 And these photos are the reason you visit the Taj at dawn..
How beautiful was the Taj in the dawnlight? 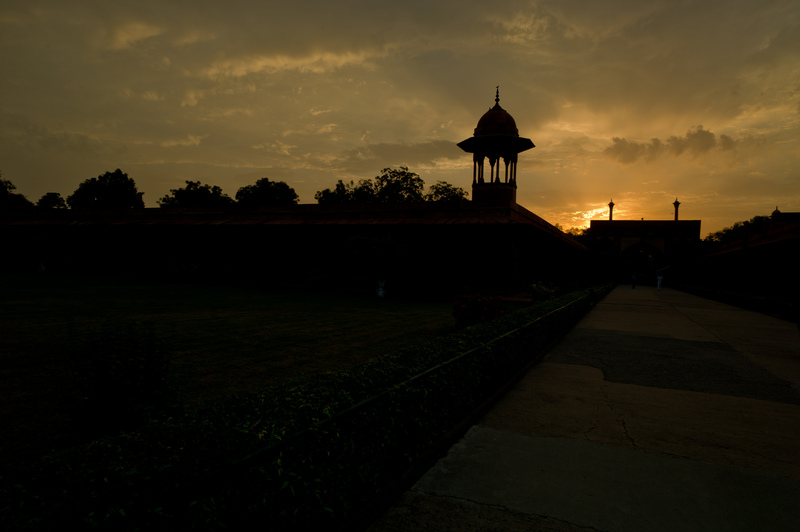 And the Taj of course looked very different by 8am…when the sun was already bright. Agreed! Agra deserves a night over. I’ve only been to the Taj Mahal once and we did indeed go at dawn. The Taj is such an emotional place I think and a glorious beauty. I felt privelaged to have seen it. I can’t remember which hotel we went to but unfortunately, it wasn’t the Oberoi. I have been to the Sofitel in Dalat, Vietnam though and they couldn’t do enough to keep us comfortable. They were great!